One of the essentials with newborns and babies are pacifiers! The only thing greater than a pacifier itself is a personalized pacifier! Babies are unique, and now their pacifiers can be too! 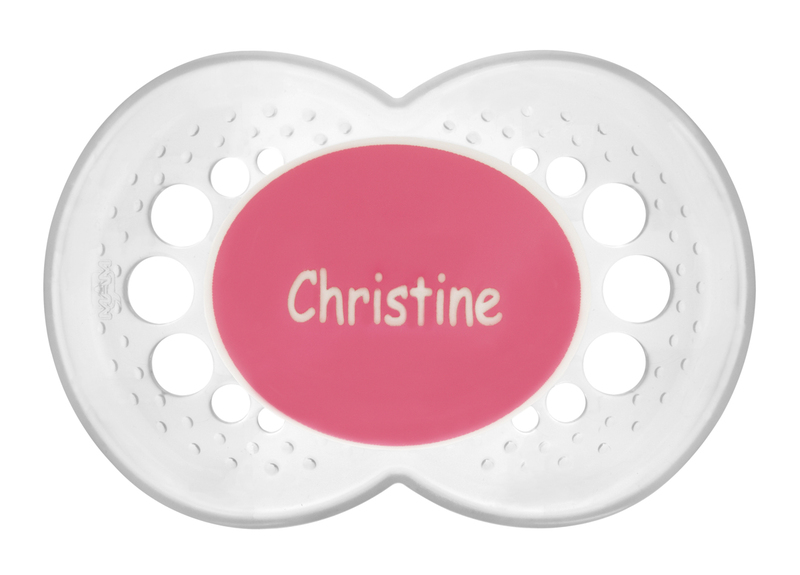 Parents can now safely and easily customize baby’s pacifier thanks to the new Personalized Pacifier from MAM. Parents can choose to feature a name, nickname or saying on the pacifier’s front knob—without compromising safety or comfort. The pacifiers are available in green, blue or pink and each customized pacifier can feature up to 36 characters in two fonts as seen in the below photos. 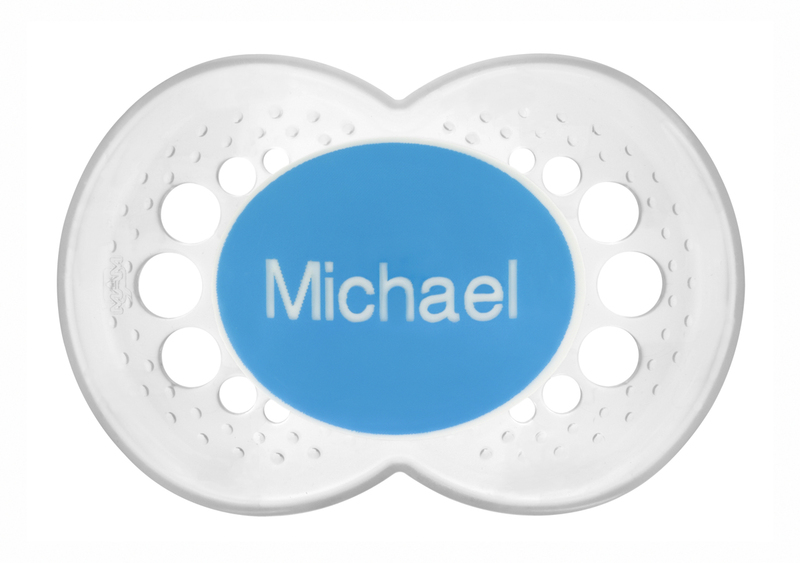 The Personalized Pacifiers are perfect for families who need to label pacifiers for daycare services, play dates and other settings. They also make a great gift for the “baby that has everything” or twins! MAM Personalized Pacifiers are BPA-free, PVC-free, lead-free and CPSIA-compliant. How great are these MAM personalized pacifiers??!! Not only are they great for keeping baby happy and fulfilling the sucking reflex, but they are cute and personalized too! 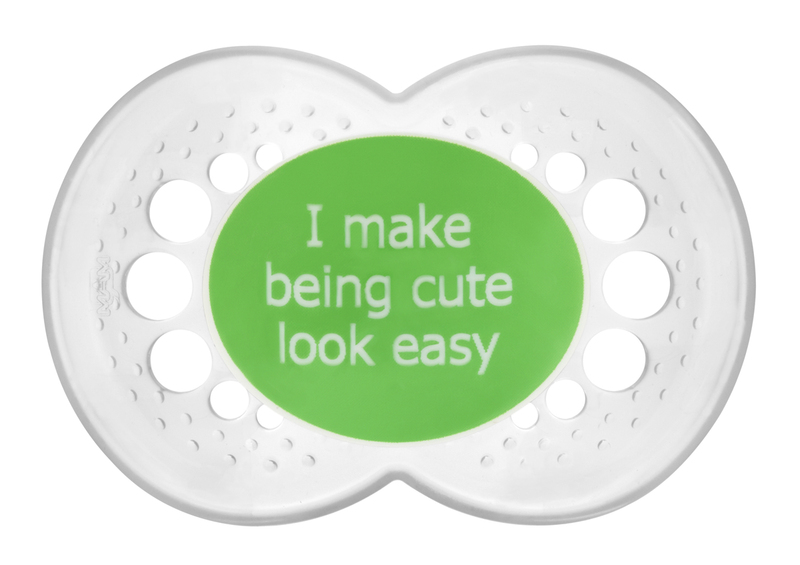 These pacifiers are not only cute and fun, but they are really practical too! They are great if you have twins or have a child in daycare and don't want their pacifiers getting mixed up.